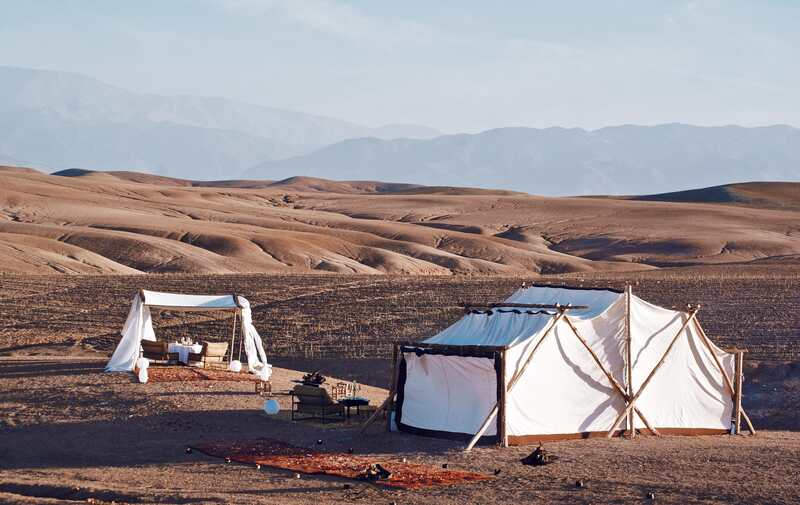 We’ve set up our camp INARA CAMP (formerly known as AGAFAY CAMP) in the magical setting of the stony desert of AGAFAY. 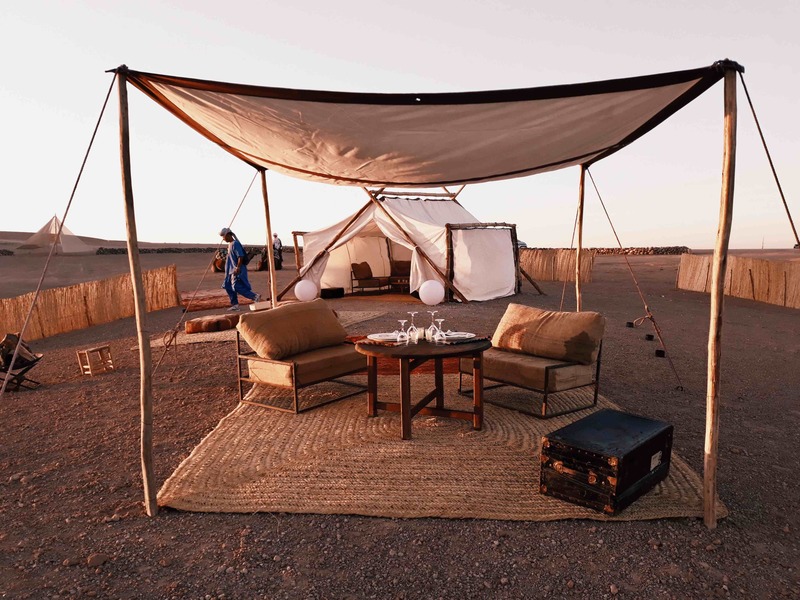 In the middle of a vast field of 10 hectares, the camp consists of two parts. 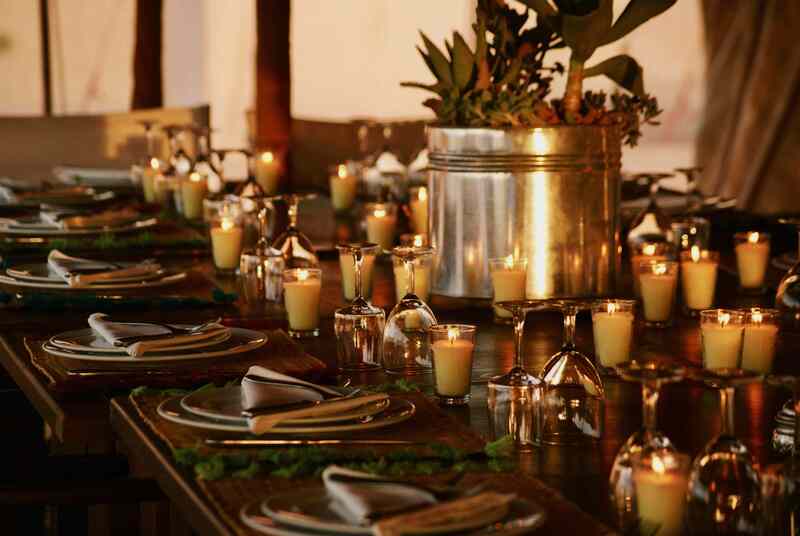 The high part including the restaurant, which welcomes our passenger guests for an exceptional lunch. 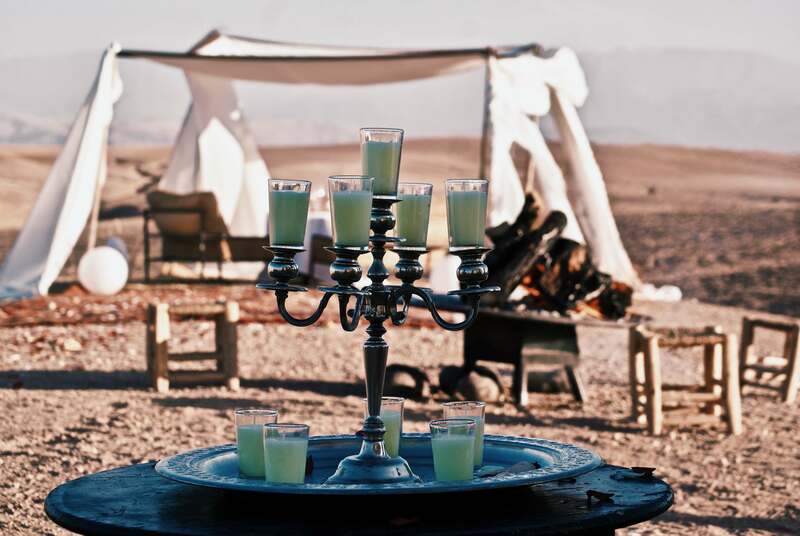 Down below the bivouac part welcomes you to live the unique experience of a night in the desert. 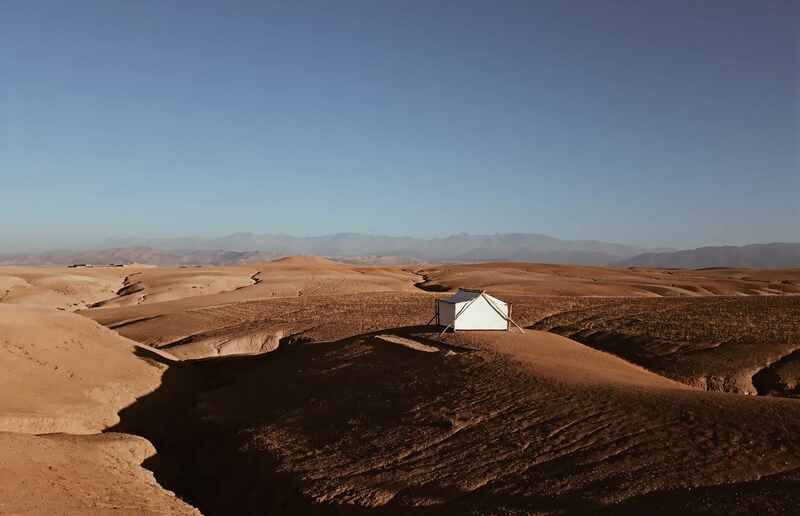 Consisting of 10 luxury tents of 30m² giving on a splendid overview of the desert, each with inside king size bed, living room and separate bathroom with shower (hot water) and toilet, the camp keeps intimacy, and respects the tranquility during the realization of each one’s desert dream. 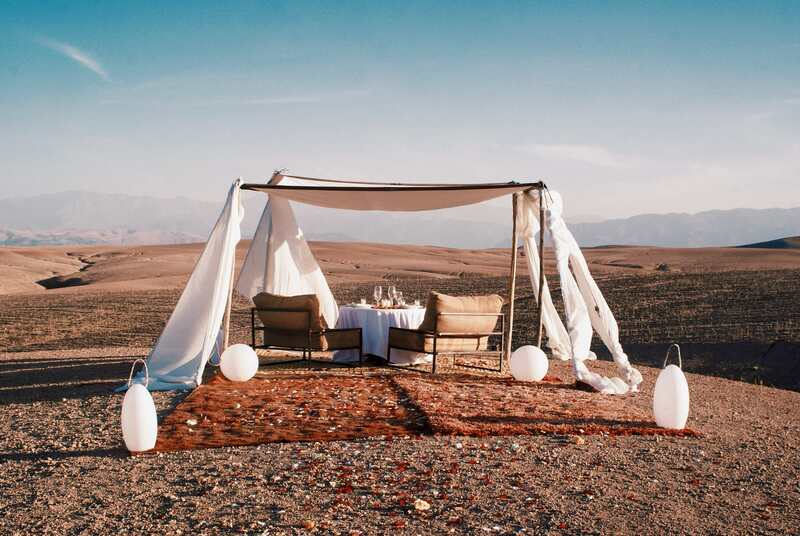 INARA camp offers 7 tents with panoramic view, known as ‘emotion’ tents and 3 luxurious suite tents with canyon views, called ‘INARA’ tents. 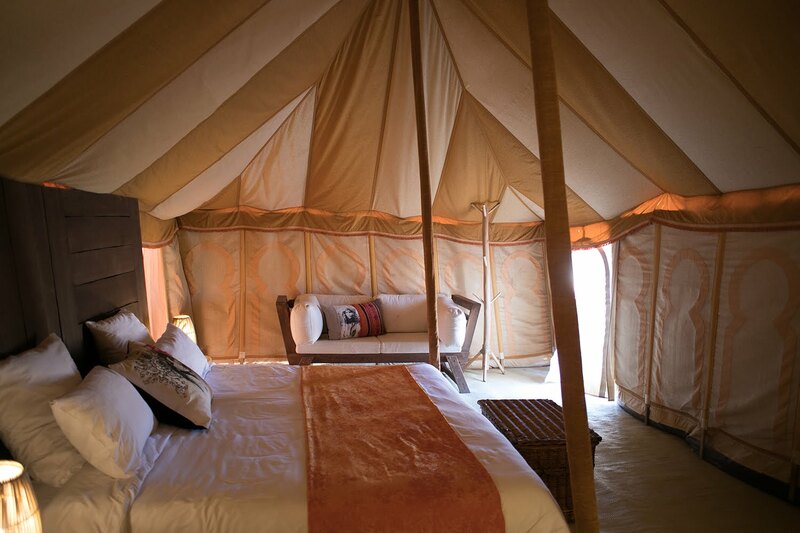 All tents offer an ultimate level of comfort and are fitted with electricity outlets. 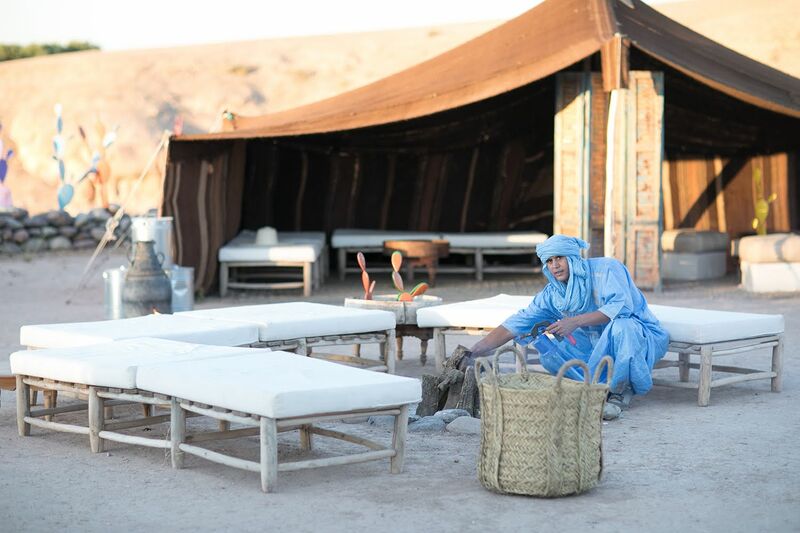 Or go out for a camel ride, share a walk with the blue men in the heart of AGAFAY desert, and for the more adventurous we put at your disposal Quad and Buggy circuits. 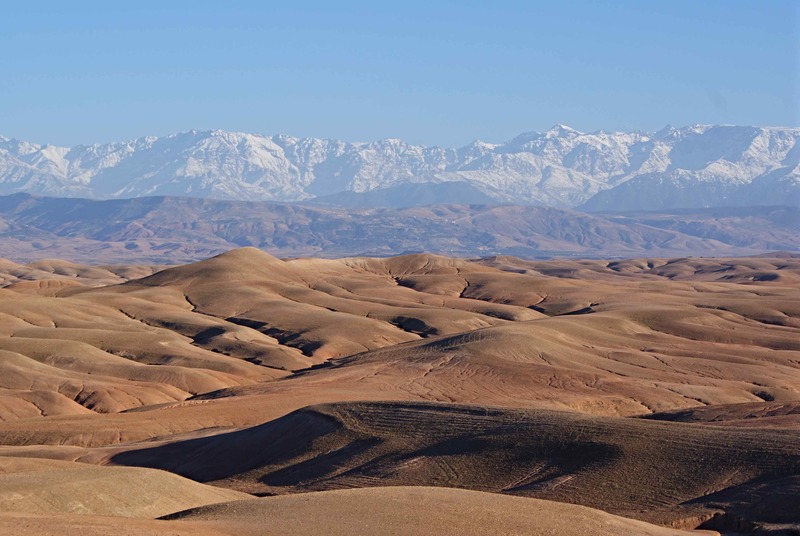 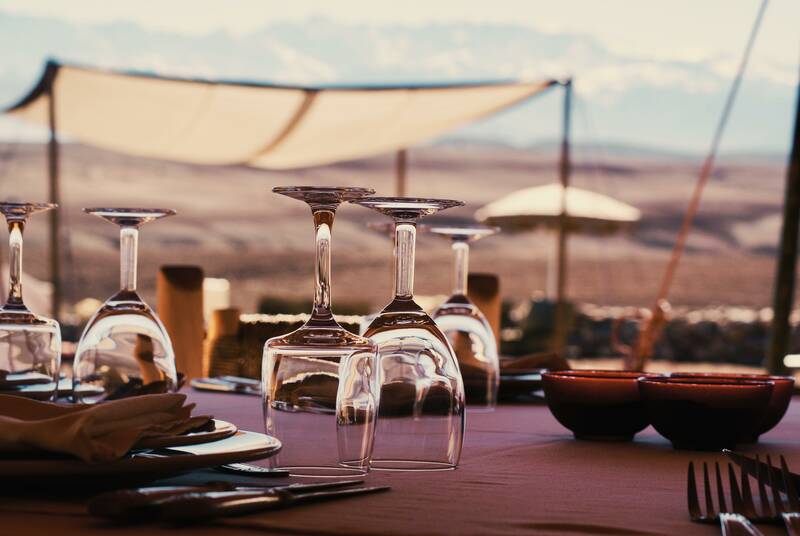 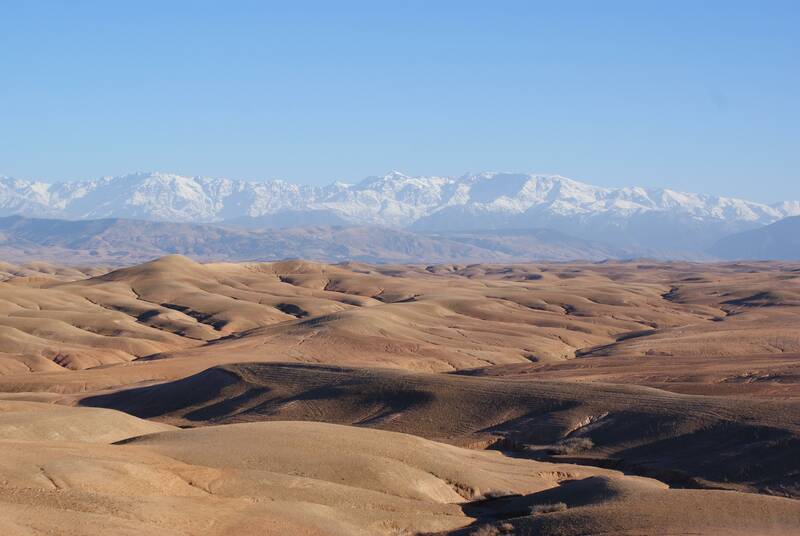 A meal in the middle of nowhere, under a private tent, magical and romantic moment, with a view giving on the contrast of AGAFAY desert and the summits of the Atlas mountains.